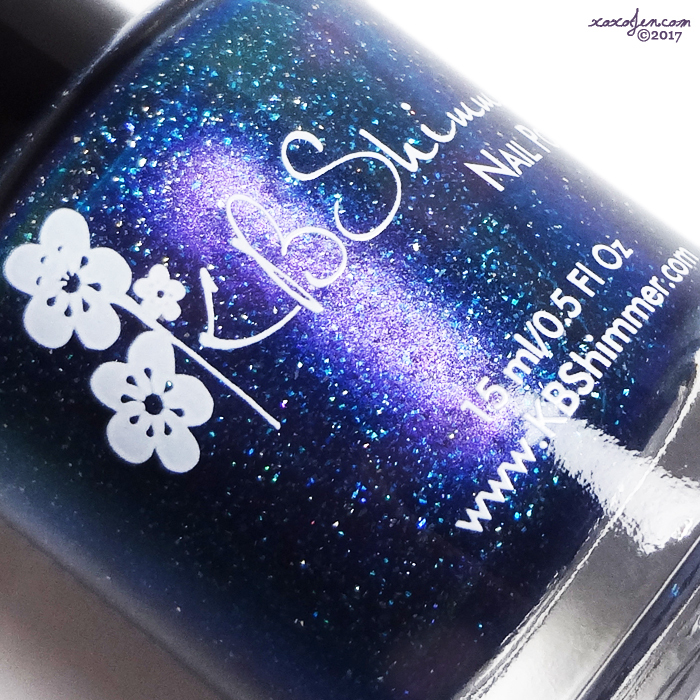 KBShimmer's Polish Con Limited Editions are stunning! You won't want to miss them if you're going, if not, watch her page for possible overstock online! Bean There, Done That –Our first of two limited edition polishes for Polish Con Chicago 2017 is inspired by the chrome silver sculpture named Cloud Gate in Millennium Park. More commonly known as The Bean for its bean like shape, this sculpture reflects the sky and surroundings for a unique piece of art. Our take on the bean starts with micro holographic flakes that give this polish both a linear and scattered holographic look. We then added a touch of color shift shimmer to allow a hint of blue and pink to pop at various angles. In love with this! It has shifting shimmer from blue to purple/pink and that holo rainbow is unbelievable! The shade of silver is bright, and almost tricks the eye into seeing white at times. The above images are shot under regular light showing a blue shimmer in the middle of the rainbow. The below photo shows off how it shifts to a purpley shade! This next image shows a full blown shift to a pinky/purple hue. How amazing is that?! The next image is shown at an extreme angle to show off the holo flame up close! The Age Of Aquarium – Chicago’s Shedd Aquarium inspired our second of two limited edition polishes for Polish Con Chicago 2017. One of the area’s top attractions, it features both salt water and fresh water attractions and is one of the largest aquariums in the country. Like the deep waters of the attractions, darkened teal shade features our holo glow flakes and a fun purple shimmer like glistening fish swimming through the sea. I have two lamps and this polish looks completely different under each of them, so I've included photos with each source. 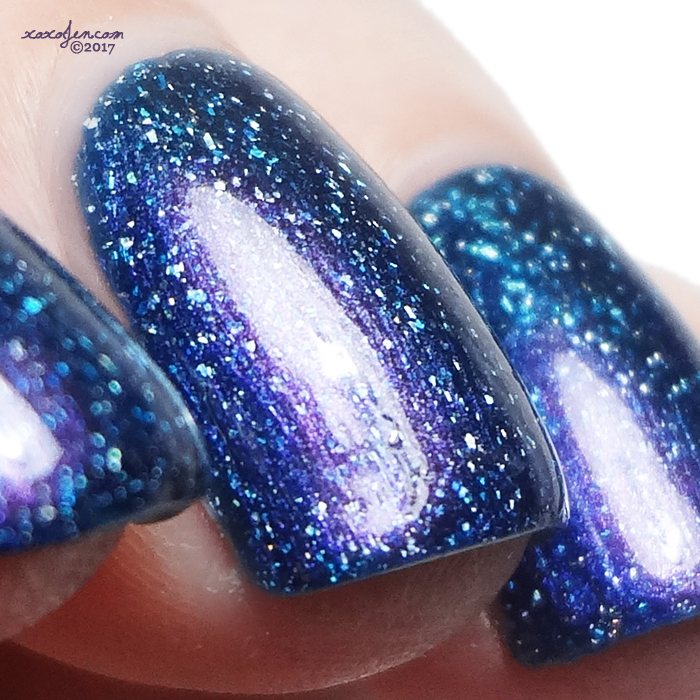 It's a shifty stunner of a polish! The next two photos are taken under a different light source and look completely different! The shimmer here is a bright aqua and the base appears teal. I wore two coats of each polish for opacity and the 5-free formula is fantastic. I can't choose a favorite between these, they are both simply beautiful. I think they'd work great as an accent nail for each other or perhaps some gradient or french tip style nail art. What would you create with these? I hope you've enjoyed the review, feel free to comment or ask questions. This is my last review post until I return from Polish Con/Vacation! Some gorgeous shades they are.